Whether you live in the Netherlands and want to know what are the best things to do during the year, or are planning when to visit this exciting country – this guide is for you! For such a tiny country there is a lot to do in the Netherlands, including many seasonal events and festivals. 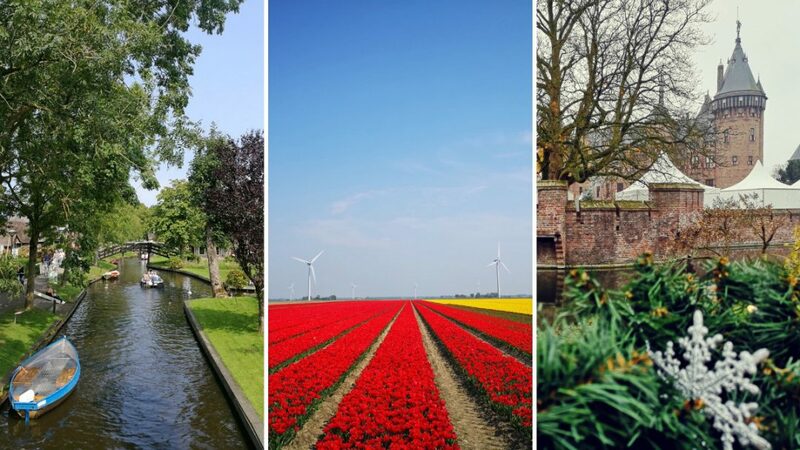 I’ve designed this post to help you easily figure out which time of the year to visit the Netherlands depending on what you want to do, or perhaps you already know when you are travelling here and want to find out what things are on during your travel dates. I’ve even created a free downloadable calendar for you so that you can easily keep track of all these events! Obviously, this isn’t a completely exhaustive list of everything to do in the country, but all the things I think are most interesting and exciting, especially for expats living here or those of you looking for something fun and different to do during your trip. Let’s get started. Psst, don’t have time to read this all now? Sign up to the mailing list here and you can get your free downloadable calendar right now! January is pretty damn cold in the Netherlands, so it’s the perfect time to do things indoors. There are some festive events still going on if you didn’t get to see them before, such as the Dutch Ice Sculpture Festival and the Amsterdam Light Festival. Make sure you rug up warm and pop into lots of cafés and bars to warm up between activities! 01 – New Year’s Day Swim at Scheveningen = This Dutch tradition takes place in multiple locations throughout the country, but the one at Scheveningen beach (The Hague) is the biggest. An icy plunge into the frigid waters of the North Sea is definitely one way to cure your New Year’s hangover! 18 – 19 – L & B Whiskey Weekend Amsterdam = A whiskey festival held in a church where you can sample and learn about and sample whiskeys from lots of different exhibitors and stalls. 19 – National Tulip Day = It seems weird that the country’s tulip season starts in January but at least it’s something to look forward to in a chilly month! The official start of the tulip season sees tens of thousands of tulips displayed in Dam Square – and you can pick your own bouquet for free! You might have to line up for over an hour to get them but music and other entertainment is provided to keep you entertained. 29 Nov – 20 Jan – Amsterdam Light Festival = From November until January light/art installations pop up along Amsterdam’s main canals. You can easily walk the route for free or see the displays from the water on a canal tour. 16 Nov – 06 Jan – Valkenburg Christmas Town = Another event that starts in November and runs until January is the ‘Christmas Town’ of Valkenburg. Located in South Limburg this town hosts multiple Christmas markets (some in caves underneath castle ruins! ), has a twice-weekly Christmas parade and lots of other festive events! 15 Dec – 03 Mar – Dutch Ice Sculpture Festival = The Dutch Ice Sculpture Festival in Zwolle also runs for a few months so you have plenty of time to see ice-carvings made by the best ice-sculpture artists from around the world! Each year has a theme and this years’ is “World Famous Stories”. 23 Jan – 3 Feb – International Film Festival Rotterdam = For 12 days a mixture of cinema, visual art exhibitions and live performances take place in the city of Rotterdam. This film festival focuses on new, innovative, independent films and filmmakers. Explore Amsterdam’s museums = The weather can be bitter during January, so it’s the perfect opportunity to spend some time indoors exploring Amsterdam’s world-class museums. The Rijksmuseum, Stedelijk Museum, Van Gogh Museum and Moco Museum are all clustered together on Museumplein, so you won’t need to spend much time outside between them! 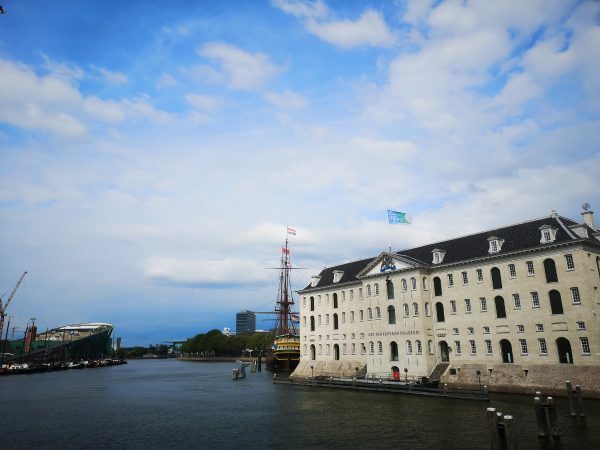 Amsterdam Museum is great for learning about the history of the city, and of course, the Anne Frank House to learn more about the life of Anne Frank. I also really enjoyed Het Scheepvaartmuseum (the Maritime Museum) and for something a bit different you could see the Katten Kabinet – a museum dedicated to art featuring cats; or Electric Ladyland – a museum dedicated to fluorescent lighting! 06 – 10 – Art Rotterdam – Rotterdam’s International Art Fair attracts many different types of artists and you will be able to see not only exhibitions but also performances, installations and other events throughout the week. It’s also the 20th anniversary this year! 23 – 24 – Chocoa Festival Amsterdam = A weekend of chocolate presentations, tastings and stalls sounds like heaven to me. If you’re interested in learning about cocoa production, what craft beers to pair with your chocolate, or are just a chocoholic (like me) then this seems like a must-visit! 23 Jan – 3 Feb – International Film Festival Rotterdam = see entry under January. 15 Dec – 03 Mar – Dutch Ice Sculpture Festival = see entry under January. Visit De Orchideeën Hoeve in Flevoland = If you’re getting sick of the cold, wet, grey weather then a visit to De Orchideeën Hoeve in Flevoland is guaranteed to cheer you up! This indoor tropical garden is always warm and colourful, you can look at beautiful flowers as well as monkeys, iguanas and turtles. You can even hand feed rainbow lorikeets from Australia! There’s also a lovely café inside the hanging basket garden where you might hear live piano music. Read all about my trip to this indoor tropical paradise here. Spring is finally here and the Netherlands starts getting very pretty with lots of blossoms and, of course, tulips! Events such as Carnival and the opening of Keukenhof are just some of what you can do in the Netherlands in March. 01 – 03 – Amsterdam Coffee Festival – Last month was all about the chocolate, but March is for the coffee lovers. Featuring artisan coffee, gourmet food stalls, barista demonstrations, live music and art exhibitions; this is a fun event for lovers of coffee, tea and food! 03 – 05 – Carnival – Mostly celebrated in the predominately Catholic Dutch provinces of Limburg and Noord-Brabant, Carnival takes place in the three days before Ash Wednesday. In the Netherlands the Dutch celebrate Carnival with colour and craziness. Check out the links for some of the major Carnival events in Maastricht and the Carnival Parade in Enschede. 10 – 20 – Imagine Film Festival – Amsterdam’s international film festival showing sci-fi, cult, fantasy and horror films. Taking place at Amsterdam’s EYE Film Museum, this is perfect for film buffs! 21 – Keukenhof Opens – Keukenhof is world-renowned for its stunning gardens featuring more than 7 million blooms. Keukenhof is open between the 21st March and 19th May so you can visit at any time during these months, but you may also like to explore on the grand opening day! 21 Mar – 19 May – Keukenhof = see entry above! 29 Mar – 27 Sep – Alkmaar Cheese Market = Every Friday morning, from March until September, Alkmaar plays host to a traditional Dutch cheese market. The market has been held in this location since 1365 and is perfect for lovers of cheese and history. Visitors come from around the world to see Dutch cheese porters in traditional garb transporting and selling huge wheels of cheese. It’s definitely worth a visit if you will be in the country during these months! 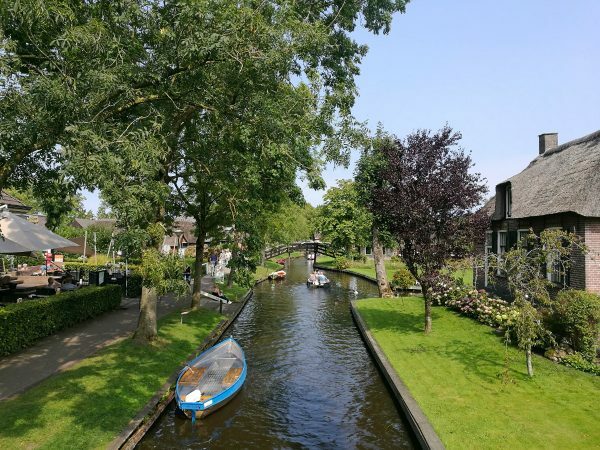 Visit the village of Giethoorn = Giethoorn is a pretty little village located in the province of Overijssel which has become rather famous in recent years because of how idyllic it looks. Often called ‘The Venice of the Netherlands’ it is a lovely place to visit but can get very busy. March would be a good time to go, the weather is getting nicer and it won’t be as packed with other visitors as during the summer. You can also have a read of my post about it and how calling it the town with no roads is actually incorrect! Read it here. Spring is in full bloom (pun intended) in April, so now is the perfect time to seek out tulips, cherry blossoms and all the other gorgeous floral events taking place in the Netherlands! Here’s what to do in the Netherlands during April. 01 – 30 – Tulip Festival Amsterdam – During April the whole of Amsterdam becomes filled with tulips. It’s the perfect time to wander the capital to see all the different displays and the best thing is it lasts the whole month! 06 – 20 – Cherry Blossom Festival – As well as the quintessential tulips, the Netherlands also has a lot of other beautifully flowering plants at this time, including cherry blossom trees. There’s even a Cherry Blossom Festival held in the Cherry Blossom Park (part of the Amsterdamse Bos – or Amsterdam Forest) featuring food and entertainment with a Japanese flavour. Read more about this area and event in my post about Amsterdamse Bos. If you’re heading down to see the cherry trees you should definitely also check out all the other awesome things you can do in the forest! 08 – 14 – National Museum Week – For a week during April there are lots of special events at museums throughout the country. With guided tours, workshops, exhibitions especially curated for museum week and lots of activities for children, this is one of the best times to visit Dutch museums. 13 – Flower Parade Haarlem – One of the many annual flower parades that take place each year is the one in Haarlem in April. Here you can watch huge floats and cars decorated with flowers to make stunning designs over a 42km route. It’s free to watch but make sure you plan a good spot to see it as it draws thousands of spectators from around the world! 13 – 14 – Elfia Fantasy Fair at Castle de Haar – Elfia is a magical fantasy/cosplay festival event which takes place at Castle de Haar during spring and Arcen castle gardens in autumn. There are performances, stalls and lots of amazing costumes for lovers of all things fantastical! I haven’t been yet but am planning to go this year. 26 – 27 – King’s Night/King’s Day – One of the biggest events in the Netherlands is Kings’ Day (and King’s Night on the night preceding) where the entire country celebrates the birthday of King Willem-Alexander on 27th April. In Amsterdam especially this means one huge street party with everybody wearing orange, but there are events throughout the country including lots of flea markets. Because King’s Day is a public holiday this also means there’s also a lot of partying going on the night before, which has come to be called King’s Night. If you want to party with the Dutch, this is one of the best times of the year to visit! 21 Mar – 19 May – Keukenhof = see entry under March. 20 Apr – 5 May – Tulip Festival and Tulip Route = Keukenhof and Lisse aren’t the only part of the Netherlands where you can see tulips, and this is made especially apparent by the Tulip Festival and Tulip route which takes place in the province of Flevoland. 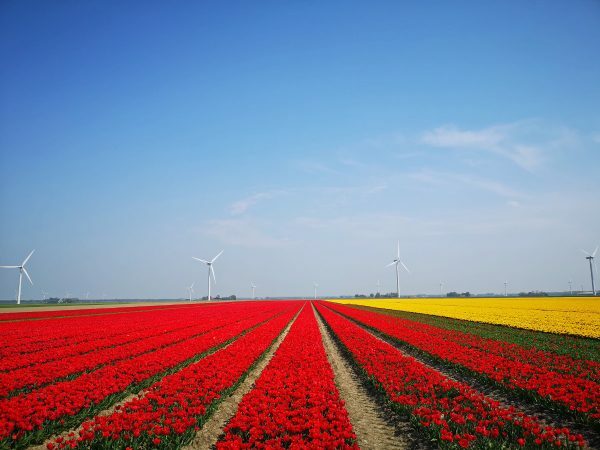 Flevoland is actually the country’s biggest tulip-growing region and in April there are events and photo opportunities set up along a driving route of nearly 100km. I also wrote a post about our visit to the fields last year, check it out here. 29 Mar – 27 Sep – Alkmaar Cheese Market = seen entry under March. See tulip fields for free = While many travellers love to visit the gardens of Keukenhof, the entry price can be quite steep. If you still want to explore some of the gorgeous tulip fields in the Netherlands you can do it for a fraction of the cost in the province of Flevoland (as mentioned above) and around the area of Lisse. It’s almost summer but the weather can still be a bit unpredictable during May. There’s still plenty to do throughout the country though and it’s also still a great time to see tulips in the Netherlands. 04 – Remembrance Day – This is the day that the Dutch remember and give their respects to the fallen in war. The main event takes place in Dam Square in Amsterdam, with the King and Queen in attendance and wreaths laid on the National Monument. 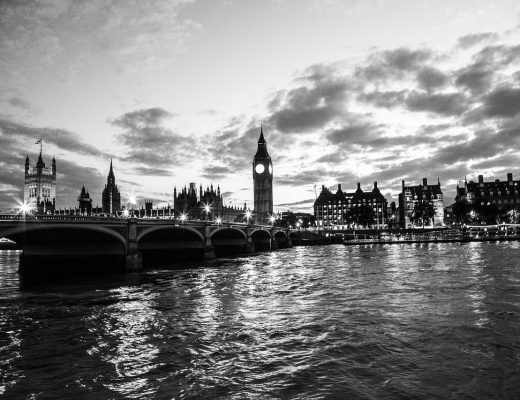 The whole country pauses for two minute’s silence at 8 pm. 05 – Liberation Day – The day after Remembrance Day the Dutch celebrate the country’s liberation from Nazi-rule during WWII. There are exuberant events throughout the country, including concerts and festivals in many of the cities. In Amsterdam thousands of people gather for free concerts on the Museumplein! 11 – 12 – National Mill Day – Technically two days, National Mill Day sees around 950 windmills throughout the country opening their doors to visitors for free. Windmills are a bit of a Dutch emblem, so if you’ve always wanted to explore inside one, this is a perfect time! There are demonstrations of how the mills were used as well as fun activities. Kinderdijk (near Rotterdam) and Zaanse Schans (near Amsterdam) are two of the most famous windmill areas in the Netherlands, but you will also be able to visit, for example, De Gooyer windmill and/or The Sloten Windmill which are both in Amsterdam. 30 – Leeuwarden Flower Market – If you can’t get enough of flowers you might like to check out the longest flower market in the Netherlands, in Leeuwarden. Located in the province of Friesland which is worth a visit in its own right, this flower market draws around 30,000 visitors each year! 23 May – 2 June – Tong Tong Fair The Hague = The Tong Tong Fair is the world’s biggest Eurasian festival and is a tradeshow, food fest and cultural festival all in one! With exhibition stands, food stalls and performances showcasing many different Asian countries, it’s a great way to experience some Eastern culture within the Netherlands. 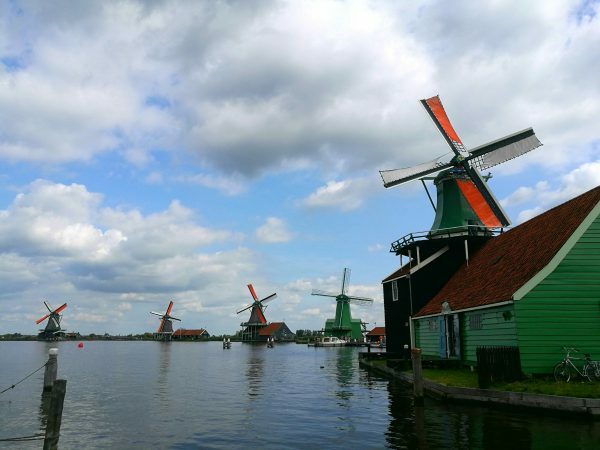 Visit Zaanse Schans = Even if you can’t time your visit to the National Mill Day, May is a great time to visit Zaanse Schans and see this old-fashioned village with beautiful windmills. It’s also easy to visit on a budget, check out my budget guide to Zaanse Schans if you’re planning to visit! 01 – 03 – Rotterdam Rooftop Days – During this weekend in June, many buildings in Rotterdam open their rooftops to the public along with a program of tours, concerts, art and dinners at the top of the city! It’s an exciting way to see Rotterdam from on high, and also from the roofs of buildings that you can’t normally explore. Once you purchase a day-pass for €7.50 you are able to attend events on up to 20 different roofs in Rotterdam. Keep an eye on the website for updates about this year’s program. 06 – 30 – Holland Festival – This festival is a mixture of performing arts, theatre, musical theatre, dance, opera, literature, architecture and visual arts. It takes place in several parts of Amsterdam, perfect for lovers of any kind of art! Again, check out the website for the most recent updates on this year’s program. 10 – Day of the Castle – There are many castles in the Netherlands that you can visit, and on the special Day of the Castle even more castles and manor houses open their doors to visitors. There are also lots of special events held at these castles on the day, to make it even more exciting. 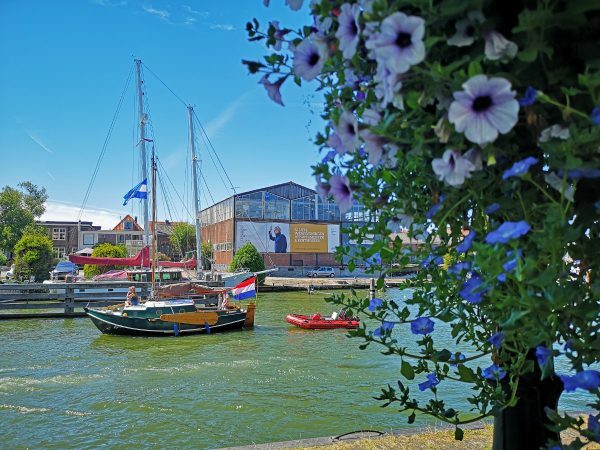 15 – 16 – Aalsmeer Flower Festival – Another beautiful Dutch flower festival, this one takes place in the town of Aalsmeer over a weekend in June. During this weekend you can see workshops, demos and exhibitions about flowers, as well as enjoying live music with great food and drinks. There is also the Historic Garden horticultural museum to explore, and of course, lots of gorgeous floral displays. 14 – 23 – Festival Classique (Scheveningen) – At Festival Classique the beach of Scheveningen (in The Hague) becomes an open-air concert hall for classical music! There are concerts where you can sit with your toes in the sand and the whole festival is designed to be completely different from the usual classical music performances, to surprise and delight everyone. Keep an eye on the website for this year’s list of performances. 15 – 16 – Open Garden Days of Amsterdam – Amsterdam’s most beautiful private gardens are usually closed to the public, except on the Open Garden Days of Amsterdam. This weekend is a wonderful time to visit if you want to see some of the gorgeous gardens of Amsterdam’s residences. 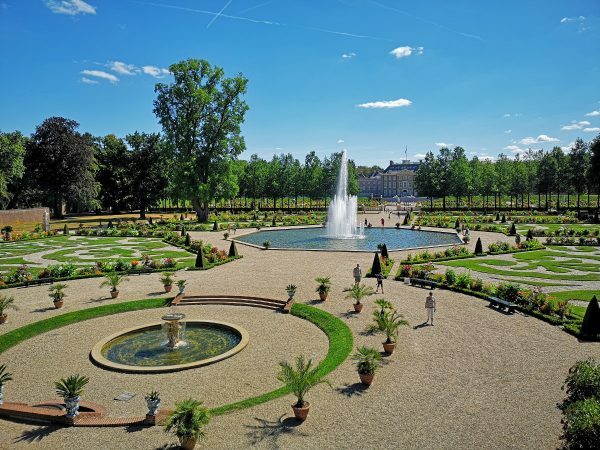 You can purchase a pass for all the gardens for €20, or €18 on the website. 29 – 30 – Harbour Festival IJmond – Taking place on the old harbours of IJmuiden is this festival that celebrates maritime culture along with lots of cool events like parties, performances and markets. Find out more about this year’s activities on the website closer to the dates. 30 Jun – 07 Jul – Amsterdam Roots Festival = This music festival celebrates non-western music and attracts bands and artists (and visitors) from all around the world. Events take place at different venues throughout the city of Amsterdam but the main event takes place in the Oosterpark. 21 Jun – 25 Aug – De Parade = The Parade is a travelling festival that tours the country’s four main cities: Rotterdam, The Hague, Utrecht and Amsterdam. In each city the parade sets up with a carnival atmosphere with tents and circus acts as well as other theatre, music and art performances. 23 May – 2 June – Tong Tong Fair The Hague = see entry under May. 29 Mar – 27 Sep – Alkmaar Cheese Market = see entry under March. Explore some Dutch castles = Even if you don’t manage to make it on the Day of the Castle, June is a great time of year to explore some of Holland’s many castles. The weather is usually great and during the summer months there are lots of activities organised at the castles. 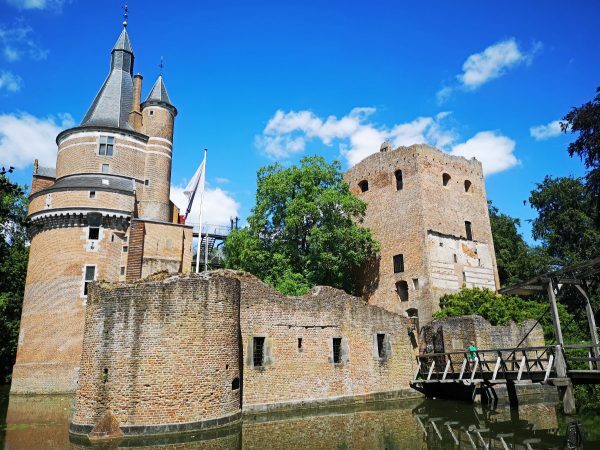 Read about my experiences seeing a Viking battle re-enactment at Castle Doornenburg, live music at fairytale Castle Duurstede and patting deer at the gorgeous Castle de Haar. 12 – 21 – Over Het IJ Festival – This is a summer theatre festival that takes place in the cool district of Amsterdam-Noord. The NDSM-Werf area is worth a visit anytime, but with ten days of theatre and music, this is a great time to explore the groovy bars and street art at the same time. 19 – 28 – Tilburgse Kermis Funfair – For ten days in July you can enjoy the biggest funfair in the Benelux region; the Tilburg Fair! This is a very popular event in the Netherlands and perfect if you enjoy fair rides and performances. The entire centre of the city of Tilburg becomes the showgrounds and there’s also an amazing fireworks show on the last night. Pink Monday is also a day where the fair becomes pink and is one of the biggest gay events in the Netherlands. Find out more at the website. 23 – 27 – Rotterdam Unlimited – One of Europe’s biggest street festivals is Rotterdam Unlimited; a combination of summer carnival and Dunya festival. There is lots of live music and theatre, as well as a carnival parade involving the battle of drums and election of a queen! 30 Jun – 07 Jul – Amsterdam Roots Festival = see entry under June. 21 Jun – 25 Aug – De Parade = see entry under June. Visit Paleis Het Loo = Summer is one of the best times to visit the royal palace of Het Loo in Apeldoorn. The gardens are stunning and while the interior of the castle is being renovated (it reopens in 2021) you can also see the gardens from the roof! There are also lots of walking and cycling paths through the royal park, perfect to enjoy on a sunny day. For more information, you might like to read about my visits both during Christmas and the middle of summer in the post: Paleis Het Loo Through the Seasons. The last month of summer in the Netherlands is usually nice and warm, and the event season also heats up like crazy! There is so much to do in the Netherlands during August that you will definitely be spoilt for choice. 02 – 04 – Westland Boat Parade – Another parade, this time with flowers and vegetables, on boats! The Westland boat parade passes through the Westland area (the area west of Rotterdam and the Hague) for three days and the theme changes yearly. 03 – Gay Pride Canal Parade Amsterdam – One of the biggest parties of the year takes place on Amsterdam’s canals in August; the Gay Pride Parade! Hundreds of boats decorated with crazy colours and filled with dancers and people partying float through Amsterdam’s canals and the city becomes one big street party. This celebration of equality for gay, straight, lesbian and transgender people actually takes place over the whole weekend, but the canal parade is the biggest and most famous event. Check out the website for more details! 09 – 10 & 16 – 17 – Scheveningen Fireworks Festival – Fireworks for two weekends in a row on a beach! The shows are actually competitions between different countries and while watching you can also enjoy music and dance performances as well as fire-eaters and jugglers. There are also plenty of restaurants and cafés along the seafront and pier of Scheveningen, so it would be a wonderful couple of nights. 09 – 18 – Grachtenfestival Amsterdam – Sometimes called the Canal Festival, the Grachtenfestival is a classical music festival that takes place in different parts of Amsterdam over ten days. You can choose from more than 150 different concerts, often on very unique stages, such as rooftops, cruise ships and inside hotel suites. 10 – Flower Parade Rijnsburg – One of Holland’s oldest flower parades is the one that takes place in Rijnsberg. You can see a parade of floats decorated with flowers, as well as music chariots, cars and several street orchestras. 21 – 24 – Balloon Fiesta Barneveld – Balloon Fiesta is a hot air balloon festival which takes in the Dutch town of Barneveld (near Amersfoort). Each evening for four days over 35 incredible hot air balloons float over the area, and some of them come back and light up in the evening with a musical show. You can buy tickets to watch the balloons be prepared and take off and there is also other entertainment during the evening. 23 – 26 – Mysteryland – Mysteryland is the oldest dance festival in the Netherlands and attracts more than 60,000 dance lovers each year. This three-day dance music festival takes place in the Harlemmermeer forest and features world-renowned Dutch and international artists. You can purchase tickets to camp on site (and be part of the exclusive pre and after party events) or stay nearby. 23 – 25 – Uitmarkt Cultural Festival – On the same weekend as Mysteryland is the Uitmarkt Cultural Festival which marks the opening of the cultural season in the Netherlands. The festival itself is the largest cultural festival in the country and features music, theatre, comedy, film and more throughout the city of Amsterdam. Best of all? The whole festival is free! 31 – Gondelvaart Giethoorn – Giethoorn is a fairly famous picturesque village by itself (read my post about visiting here) and on the last Saturday of August it becomes even more magical! This town is filled with canals and on the Gondelvaart (Gondola Tour) day you will get to see an enchanting boat parade in the evening. Boats are decorated with fantastic creations (often with fairy lights) and accompanied by music as they float through the town. There are other attractions from 4 pm onwards, so get there early! 31 Aug – 01 Sep – Bloemencorso Eelde = If you haven’t been to any of the other flower parades (there do seem to be a lot of them!) then you might like to visit this one in the province of Drenthe. This weekend program features a parade of floats decorated with flowers as well as a marching band. There are also markets, feast tents, musical performances and children’s activities. Visit a Dutch island and/or beaches = Summer is the best time to visit a Dutch beach such as Scheveningen for some fun in the sun and sea. Many Dutch beaches have boardwalks with cafés and beach ‘clubs’ where you can rent changing sheds and folding chairs. This is also a great time of year to catch a ferry out to one of the Dutch islands to explore – and see more beaches! Check out my post about visiting the island of Texel, home to a rehabilitation centre for injured wildlife like seals and sea-birds and a lovely place for a summer weekend away. Usually, September in the Netherlands is still fairly warm, and the added bonus is that school holidays are over so many places aren’t as busy. There are also still a lot of fun events on! 01 – 02 – Flower Parade Zundert – Another flower parade, this one is the biggest in the world and dates all the way back to 1936! The floats are decorated using only dahlias and this event attracts tens of thousands of visitors every year. A great weekend event to marvel at incredible floral decorations. 06 – 08 – World Port Days Rotterdam – Another weekend event, taking place in Rotterdam in order to familiarise and celebrate the port aspect of this maritime city. There are lots of different activities, excursions, demonstrations, ship tours and more. 08 – Flower Parade Lichtenvoorde – Another flower parade featuring dahlias is the one in the town of Lichtenvoorde in the province of Gelderland. The main parade takes place on Sunday the 8th but there is also a three-day festival surrounding the event featuring a funfair, market, entertainment in the local pubs and hotels, as well as fireworks on the final night (Tuesday). 14 – 15 – Heritage Days – Every year during the second weekend in September is this event where many monuments and buildings are opened to the public. Over 4,000 monuments and buildings are open to visitors free of charge, so it’s a great time to get a behind-the-scenes peek at some of these fascinating places. Check out the website to plan which buildings and sites you want to explore this weekend! 17 – Prinsjesdag – On the third Tuesday in September the King of the Netherlands visits the Dutch parliament to read a speech to outline the government policy for the year ahead. It may sound a bit dull but this event takes place with much pomp and circumstance, as the King travels by coach from the palace to the Ridderzaal; accompanied by cavalry, standard bearers and lots of other examples of royal military might. If you want to see the spectacle you’ll want to get a good spot on the route early in the morning, as the King’s ride attracts thousands of spectators! After the King gives his speech he returns back along the route to the Noordeinde Palace and the royal family will then appear before the public on the balcony. 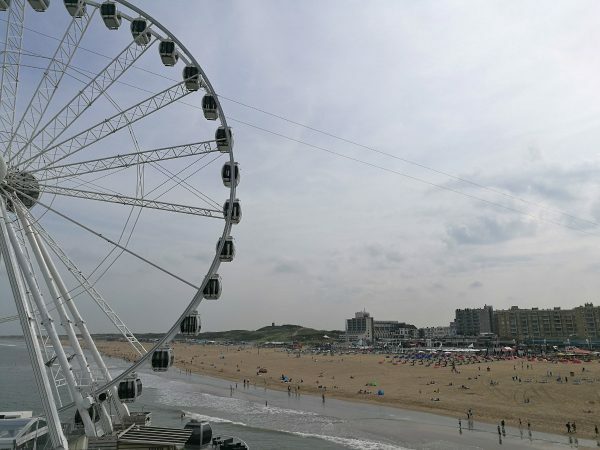 28 – 29 – Scheveningen Kite Festival – If you didn’t get to see the fireworks festival at Scheveningen beach last month, don’t worry, there’s a kite festival this month! With over 100 entrants from around the world, you will be able to visit Scheveningen’s famous beach and pier while also enjoying some of the biggest and most colourful kites in the world. There are kiting demonstrations and you can learn to fly stunt kites as well as buy your own kites to play with! 31 Aug – 01 Sep – Bloemencorso Eelde = see entry under August. Visit Muiderslot and the town of Muiden = I mentioned some Dutch castles previously but Muiderslot Castle (sometimes called Amsterdam Castle) is also a great one to visit once the kids are back at school! Muiderslot can be very busy so I recommend visiting in September when the weather should still be lovely but there won’t be as many visitors as during the summer holidays. Don’t forget to also explore the surrounding town of Muiden which is exceedingly cute! You can read more about my visit to the town and castle here. There aren’t as many events happening in the Netherlands in October, although it’s a nice time to see the leaves changing colour in the forests. Next month all the Christmas festivities start up, so October is a good time to relax and perhaps enjoy the autumn foliage in the many parks. 02 – 03 – Leidens Ontzet – On the 3rd of October the city of Leiden celebrates the ‘relief of Leiden’; the relief of the city from the Spanish siege of 1574. This two-day festival includes a parade, funfair, market, concerts, parties and fireworks! 19 – 27 – Dutch Design Week – The city of Eindhoven already has a reputation for cutting-edge design, so it’s fitting that the Dutch design week takes place here. Both Dutch and international designers show their work throughout different locations in the city, and you can also enjoy lectures and workshops on design. Dutch Design week focuses on innovation and the future, so it’s always pretty unique and exciting! 28 Oct – 03 Nov – Crossing Border The Hague – Crossing Border is a music, literature, film and visual arts festival and is one of Europes main literature and music festivals. For a week The Hague hosts many different performances, activities and films across these disciplines so there is something for everyone to enjoy! 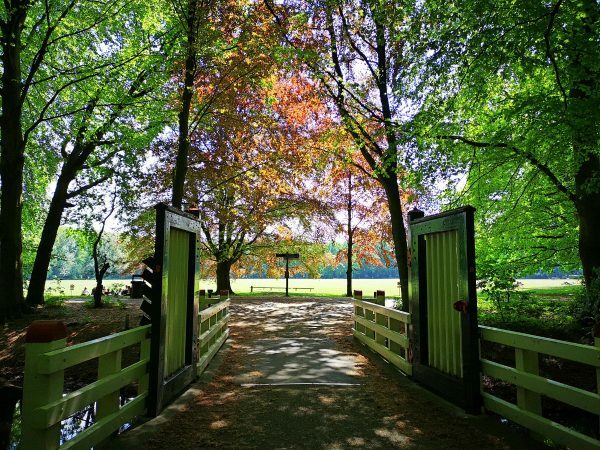 Enjoy the autumn colours at Amsterdamse Bos = Amsterdamse Bos (or Amsterdam Forest) has so much to see and do that you can easily spend multiple visits enjoying everything. In spring and summer it is lovely and if you want to really enjoy the changing leaves of autumn then October is a great time to visit. With lots of walking, cycling and horse-riding paths, a goat-farm and even free-roaming Highland cattle, this is a fun spot for young and old! Make sure you check out my ultimate guide to Amsterdamse Bos detailing all the many things you can do there. 02 – Museum Night Amsterdam – Around 50 of Amsterdam’s museums participate in this event, where you can purchase one ticket and visit as many museums as possible until the early hours of the morning! 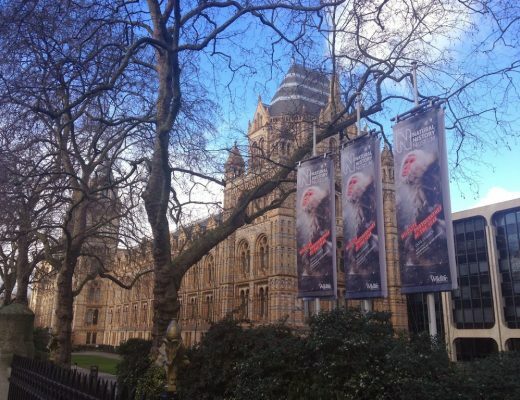 There are special tours and events taking place in the museums, so make sure you check the website to purchase your tickets and plan which museums to visit. 09 – 16 – GLOW Eindhoven – During the GLOW light festival the whole city of Eindhoven lights up with light installations at night. Each year is a new theme and artists from around the world show their light constructions at locations throughout the city. Check out the website to see what is on (and where!) this year, as well as how to get discounted train tickets to and from Eindhoven. 19 – 24 – Country and Christmas Fair (Castle de Haar) – Castle de Haar is one of Holland’s must-visit castles, and for a week in November it also hosts the Country and Christmas Fair. Not only is this a great place to get your Christmas shopping done but the castle is extra pretty when decorated for Christmas. There are on-site cafés and a pretty spectacular light and water (and fire and music) show! 28 Oct – 03 Nov – Crossing Border The Hague = see entry under October. 16 Nov – 06 Jan – Valkenburg Christmas Town = From mid-November until the first week of January, the city of Valkenburg in the south becomes Kerststad (Christmas-city) Valkenburg! 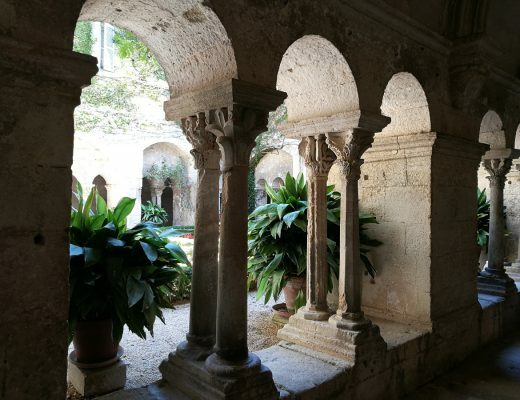 This historic town has ancient marl-caves which are transformed into Europe’s only underground Christmas markets, as well as a Christmas parade, sand-sculptures and so much more. 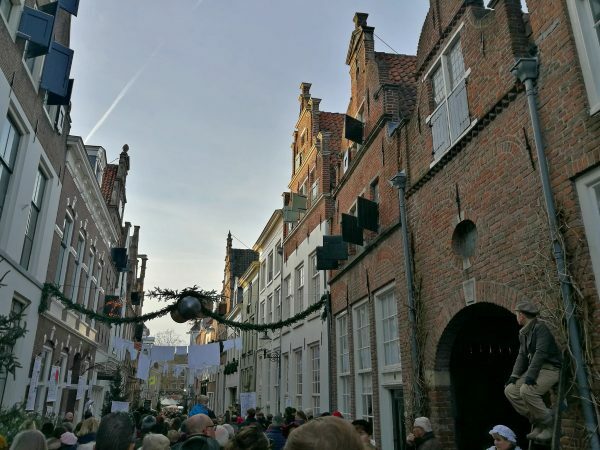 Have a read of my blog post about visiting ALL the Christmas events in Valkenburg here. 24 Nov – 06 Jan – Winter Wonder Weeks Leiden = The city of Leiden also turns the festivities right up from November until January, with many events and attractions celebrating the arrival of Sinterklaas and Christmas. There are markets, ice-skating rinks, a parade and so much more. Check out the website for a full list! 29 Nov – 20 Jan – Amsterdam Light Festival = From November until the end of January the canals of Amsterdam are lit up with light installations by artists from around the world. You can explore the route on foot or by canal tour and it definitely brightens up the cold and dark months! The Country and Christmas Fair = I mentioned it already but visiting Castle de Haar when it was all decked out for Christmas was one of the most magical experiences I had last year. If you still need convincing check out the blog post (including a video!) with all the stunning photos here. 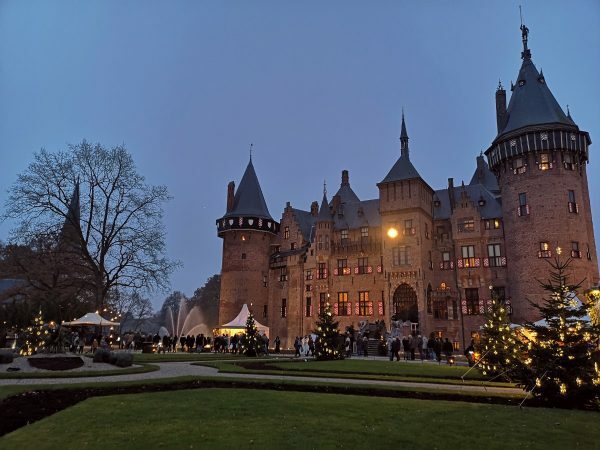 Lots of people think you need to go to Germany to see the best Christmas markets but the Netherlands also has some great ones, including in castles! There are plenty of other interesting Christmas events in Holland, and the Dutch also celebrate Sinterklaas early in December. 05 – Sinterklaas – Sinterklaas (Saint Nicholas) seems to be similar to Santa Claus but there are some very big differences. The Dutch generally celebrate Sinterklaas as a children’s event, with presents and often only have a family meal on Christmas (although of course, this is different for different families). Sinterklaas arrives in the Netherlands in late November, on a steam-boat from Spain. Each year his official arrival takes place in a different town, keep an eye on this website for the announcement of where he will come in 2019. His yearly arrival is a big event but the actual celebration is Saint Nicholas’ Eve on the 5th December. Dutch families exchange gifts, often silly ones with funny poems. 13 – Candle Night Gouda – A day of Christmas music, theatre and other entertainments culminating in the evening where all the electric lights are turned off and thousands of people gather in the main town square for carols. Candles are placed in windows facing the square and the mayor gives a speech then lights a huge Christmas tree which is gifted to the town every year by its Norwegian sister town Kongsberg. 13 – 15 – Knus Utrecht – The entire city of Utrecht gets in on the Christmas spirit during Knus Utecht! They call it ‘a market, living room and festival in one’ and runs from the Friday evening until Sunday. Throughout the city are seven different markets connected by ‘living rooms’ where you can be warmed by theatre, literature and music. Entrance is free and this is high on my list for this year’s Christmas season! 13 – 15 – Dordrecht Christmas Market – Located close to Rotterdam, the city of Dordrecht hosts the largest Christmas market in the Netherlands. With more than 200 stalls spread out over 2.5 kilometres, this is definitely one to visit if you have a lot of presents to buy! As well as markets the harbour and lots of ships are lit up, and there are also performances and an ice-skating rink. 14 – 15 – Dickens Festival Deventer – This is a very unique event in the beautiful city of Deventer. For a weekend the historic quarter of the city becomes a version of Charles Dickens’ Victorian London, with actors and locals alike dressing in Victorian garb. There are decorations, food stalls and performances and many of Dickens’s most memorable characters are brought to life. Read about my visit to this fascinating event here! 14 – 23 – Royal Christmas Fair The Hague – The Hague is also home to a beautiful, and royal, Christmas fair. As well as a large market there is also a children’s Christmas fair, lots of cultural performances and you can visit Santa Claus! 16 Nov – 06 Jan – Valkenburg Christmas Town = see entry under November. 24 Nov – 06 Jan – Winter Wonder Weeks Leiden = see entry under November. 29 Nov – 20 Jan – Amsterdam Light Festival = see entry under November. 01 Dec – 01 Jan – Maastricht Christmas Market = The city of Maastricht in South Limburg is very beautiful and only more so during the festive season. There is a huge Christmas market on the main square which features a giant bauble, ice-skating rink and a Ferris wheel. Everything is decorated with beautiful lights and other Christmas decor as well, and it the city of Maastricht is also a good spot for your Christmas shopping. 15 Dec – 03 Mar – Zwolle Ice Sculpture Festival = see entry under January. Winter Efteling = Efteling is a Dutch theme-park that is definitely worth a visit at any time of year. During the winter months it is decorated with festive elements to make it a little cosier and it’s a fun way to forget about the cold! Have a read about my trip to Efteling in winter here. Get your free calendar with all these events marked so you can plan your time in the Netherlands! Would you like your own copy of a calendar with all these events marked to make it easy for you to remember them all? 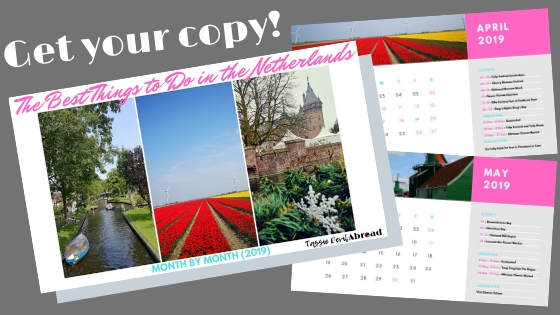 Sign up for my mailing list and you’ll get this free downloadable calendar as well as regular updates about fun things happening in the Netherlands! Have you ever visited the Netherlands? When did you go and what did you do?! Let me know your favourite events in the comments or pin one of these so you can plan your own perfect time to visit this exciting country!